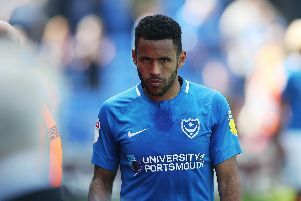 A RIVAL Pompey bidder tried to scupper a fans’ group’s chances of getting a council loan to buy the club by sending out last-ditch emails about the move. Keith Harris’s consortium sent messages to Portsmouth councillors before a cabinet meeting to decide whether Pompey Supporters’ Trust should be given £1.45m of taxpayers’ cash. It hoped this would mean the loan was turned down. In the email the consortium, led by former Football League chairman Mr Harris, claimed it is the preferred bidder. However, it is not the preferred bidder in the all-important eyes of PKF, the club’s administrators. It has only got support from the eyes of Professional Footballers’ Association and HM Revenue and Customs, which are one of the club’s main creditors. Mr Harris’ group argued the council should be offering it cash as it also has a bid on the table. However, the message wasn’t seen by councillors until after the meeting, and by that time there had already been an unanimous vote in favour of supporting the fan’s trust. Coincidentally The Football League sent an email to the council’s chief financial officer Chris Ward during the meeting confirming the trust’s bid was the only one being considered. As previously reported, both the league and PKF have made repeated assurances about this. Trust spokesman Colin Farmery said he wasn’t surprised to hear about Mr Harris’s misleading email. ‘It comes as no surprise that the consortium has played a tactic like this,’ he said. ‘The Football League has made it clear and the council has made it clear that they are going to support us. ‘What part of no doesn’t it understand? The league has already said the trust is the only bidder it is considering. The meeting was arranged after the council was told by PKF that it was going to file papers to the High Court today which outline where the trust’s money is coming from. Tory councillor Luke Stubbs and Labour group leader John Ferrett said at the meeting the decision was being rushed and the £1.45m figure needed revising. The council initially set aside the money at full council in August and yesterday’s meeting finalised details. Mr Ward was happy for the council to pledge cash because Pompey are in a better financial situation. The trust has promised to repay its loan after five months in charge.